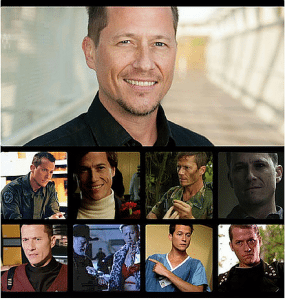 Corin Nemec’s name comes from his nickname, Corky, given to him as a child by his grandmother. He was born in Little Rock, Arkansas, and later moved to Atlanta. He now lives in California. His first acting parts were in the series Webster (1983) and Sidekicks (1986). He then got a part in Tucker: The Man and His Dream (1988), directed by Francis Ford Coppola, followed by lead roles in I Know My First Name Is Steven (1989) and My Son Johnny (1991), and the lead role in the TV series Parker Lewis Can’t Lose (1990).